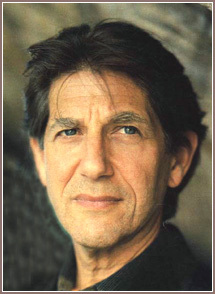 Peter Coyote has performed as an actor for some of the world’s most distinguished filmmakers, including: Barry Levinson, Roman Polanski, Pedro Almodovar, Steven Spielberg, Walter Hill, Martin Ritt, Steven Soderberg, Diane Kurys, Sidney Pollack and Jean Paul Rappeneau. Mr. Coyote has written a memoir of the 1960’s counter-culture called Sleeping Where I Fall which received universally excellent reviews, appeared on three best-seller lists, sold five printings in hardback was re-released with a new cover and afterword in May, 2009. A chapter from that book, “Carla’s Story, won the 1993/94 Pushcart Prize for Excellence in non-fiction. He is currently working on a new book about politics. From 1975 to 1983 he was a member of the Literature Panel of the National Endowment of the Arts and then Chairman of the California State Arts Council. During his Chairmanship and tenure, expenditures on the arts rose from 1 to 16 million dollars annually. He is an ordained Buddhist who has been practicing for 36 years and is currently preparing for his priest’s ordination in 2011. He is and has been engaged in political and social causes since his early teens.